First off, I need to apologize for being a month behind on this announcement, but don’t worry, you still have time to enter! 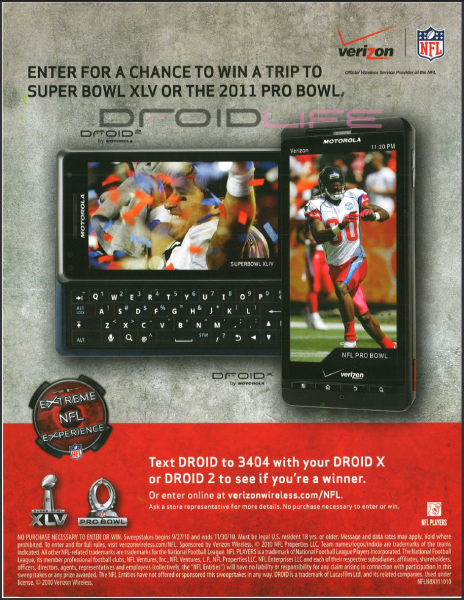 Verizon is running a contest that will send Droid 2 and Droid X owners to either Super Bowl XLV or the 2011 Pro Bowl. All you have to do is text “Droid” to “3404” and you are entered. 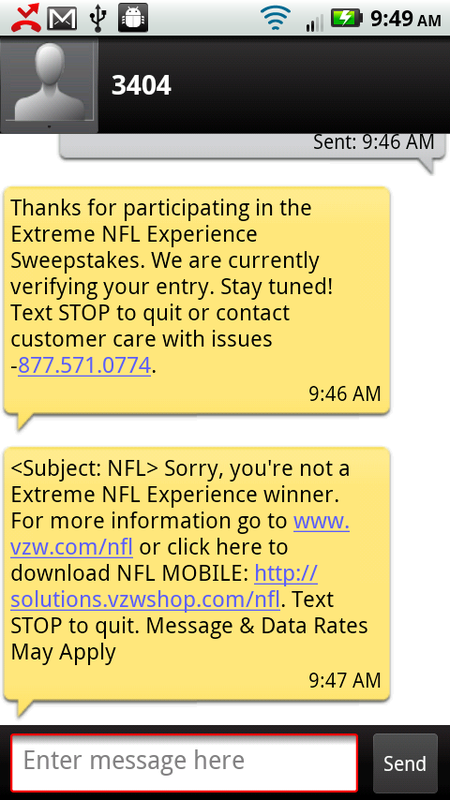 In fact, you’ll get a response back almost immediately to let you know if you have won or not. 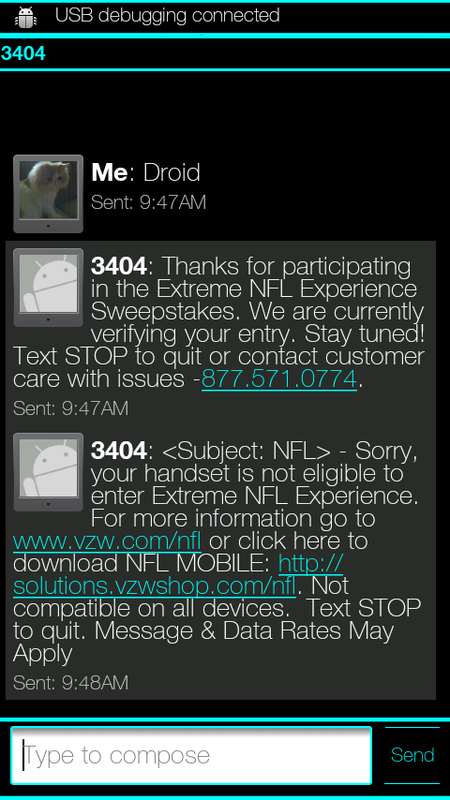 The contest runs until 11/30/10. Facebook Mobile Event, Watch it Live!